The price of West Texas Intermediate Oil fell by $0.60 to $94.20 during yesterday's session, spurred by the surprise ECB move to cut rates to a record low of 0.25%. Strong US growth figures and the rate cut made oil more expensive for traders using other currencies as the value of the dollar strengthened. The gold market is on track for its second weekly loss as positive US GDP data saw prices fall amid fears that the Fed may cut its stimulus package. Spot gold rallied 0.1% to $1,308.86 on a day that also saw stocks tumbling and the dollar gaining in value. The precious metal found support at the $1,300 level as spread betting account holders await Friday's crucial Non-Farm Payroll figures. West Texas Intermediate finally had a strong day of trading yesterday after it first appeared that crude oil bulls were going to be in for a difficult week. The WTI December futures contract rallied $1.43 to close at $94.80, after hitting a 5 month low as investors get used to high stockpile numbers and look to hopes of increased demand. After a seven day losing streak, spot gold prices held their ground on Wednesday, staying steady ahead of the upcoming US GDP data on Thursday and Friday's Jobs reports. Gold traders are playing it safe as they wait for the Non-Farm Payrolls report to provide clues about when the Fed may start tapering. West Texas Intermediate Oil continues to slide, having fallen in five out of the past six trading sessions and reaching a new 5 month low on Tuesday. Growing fears over a stockpile glut has been putting pressure on WTI this week as prices continue to fall. The New York Mercantile Exchange's WTI December contract fell to its lowest level since June at $93.41 per barrel. Oil prices haven't been helped by demand-side problems as the European Commission cut its 2014 growth forecasts for the Eurozone economy. The gold market traded in a range on Tuesday as the metal continued to fall in price, achieving its longest losing streak in almost 6 months and losing roughly 3% since the end of October. Investors are treading cautiously, looking ahead to Friday's job reports for any clue as to when the Fed will cut back their $85 billion monthly stimulus package. West Texas Intermediate fluctuated near its lowest price in over four months on Monday as markets continued to worry about the sixth consecutive week of rising inventories. Trading volumes for WTI December futures remained low, with CFD and spread betting investors sitting on the sidelines ahead of this week's Energy Information Administration report which will help shed some light on US stockpiles. Despite the worries, US crude managed to edge higher, making a modest gain of $0.04 to settle at $94.62 a barrel after falling for the four previous sessions. 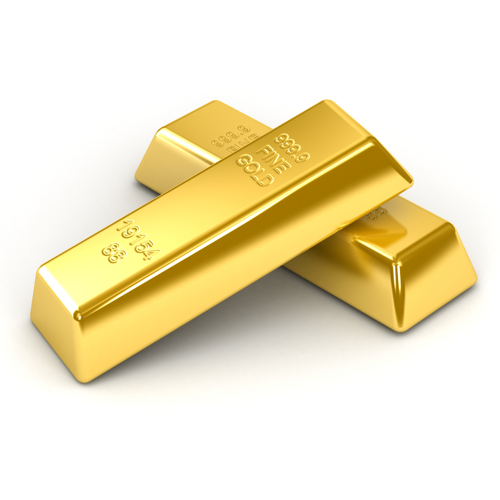 Spot gold prices remain range bound, with stocks edging higher and the dollar weakening. Nevertheless, the metal ended its six session losing streak on Monday, trading up 0.23% at $1,317.34 an ounce. Concerns remain over whether or not the Fed will maintain its monthly bond purchases, with investors looking ahead to Friday's Non-Farm Payrolls for some guidance. In commodities trading, West Texas Intermediate fell towards its lowest price in over four months as the US Department of Energy's weekly crude oil inventories beat expectations for the sixth consecutive week. Inventories now stand at their highest point since June, with the price of US crude falling 1.83% to settle at $94.61, closing the week 3.33% lower. Oil prices have not been helped by recent weak economic data and a less dovish FOMC, both contributing to crude oil's biggest losing streak in more than a year. Gold prices continued to fall on Friday, with the precious metal posting its biggest weekly loss in 7 weeks. With the dollar rising to six week highs, Eurozone inflation slowing, and manufacturing data expanding, spot gold fell to $1,305.69 during the session, falling 1.3% to its lowest level since 17 October. Now heads begin to turn to the upcoming European Central Bank meeting on Thursday and the crucial Non-Farm Payroll Data coming on Friday. The abundance of US crude supplies continued to put pressure on oil prices giving both bargain hunters and bulls a headache. WTI lost $0.37 to $96.21, hitting its lowest level in four months after a short rebound over $98 at the beginning of the week. Additionally a stronger dollar and a slumping stock market were also bearish factors. Renewed speculation that US monetary stimulus is getting ready for some trimming hurt gold prices yesterday which lost $19.1 to $1,323. Just when gold bugs thought that a turnaround could offer them some joy, the Fed's words of 'underlying strength' could resume the downtrend for the precious metal. US crude inventories climbed 4.1 million barrels to 383.9 million last week, surpassing forecast for a gain of 2.4 million. This was the sixth consecutive advance for stockpiles amid fairly poor economic data, which understandably sent crude oil prices plunging. A rebounding dollar also played its part, with WTI falling $1.19 to $96.56. While the economic outlook remains blurry, the Fed acknowledged some financial improvements which fuelled speculation that a scaling back of stimulus might not be as far away as previously thought. In turn, that delivered fresh blows to gold bugs, who had been expecting tapering to be pushed well into the next year, with the precious metal retracing $1.8 for the session to $1,343.1.